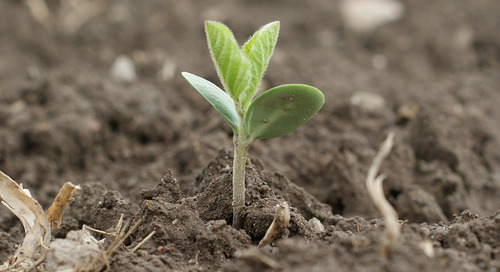 Every year in Ontario, about 20% of soybeans are planted on acres where growers harvested soybeans the previous fall. 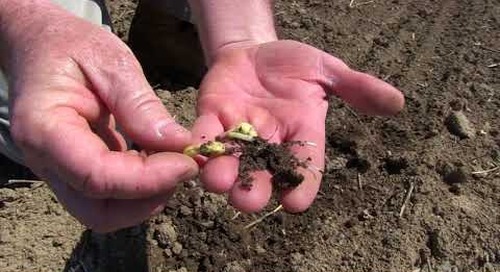 This practice of planting ‘beans on beans’ creates significant challenges for growers seeking higher soybean yields. It’s not a recommended practice and mountains of yield data tells us why. 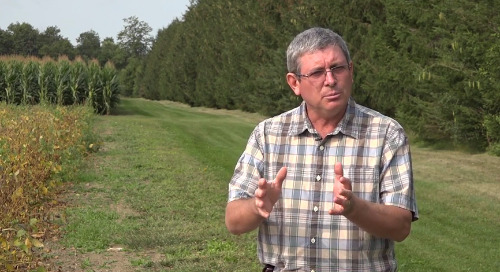 Richter notes there is really only one exception to this rule: growers often see a small yield bump when they plant soybeans for a second year on virgin soybean ground. Other than that scenario, Richter recommends growers avoid the practice, but he understands why many growers make the decision to continuously plant the popular oilseed. When winter wheat suffers winterkill, growers will often default back to soybeans. In this case, many growers justify the move by considering the abandoned wheat crop as a break crop that’s included in their rotation, but does the killed wheat crop really count? “Unless it’s a full-season crop it’s not part of the rotation and they are really planting beans on beans,” says Richter. 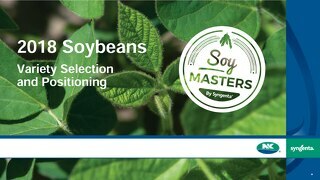 For growers who gravitate to the beans-on-beans option, he offers several agronomic tips to minimize the negative impacts and optimize yield. 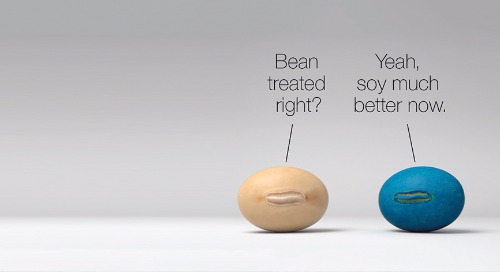 The first thing to consider is your soybean variety and genetics. Soil fertility is another key consideration. 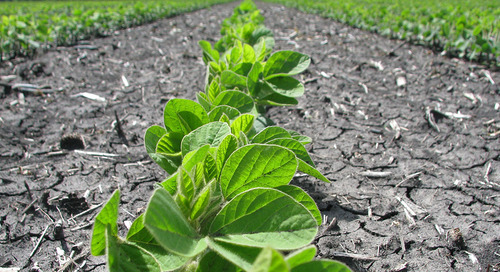 In the beans-on-beans scenario, potassium is the one nutrient that growers really have to watch. “Potassium plays a vital role in the plant's natural ability to fight off disease and pests, notes Richter. Aphids, for example, can be a real menace in fields that are low in available potassium. 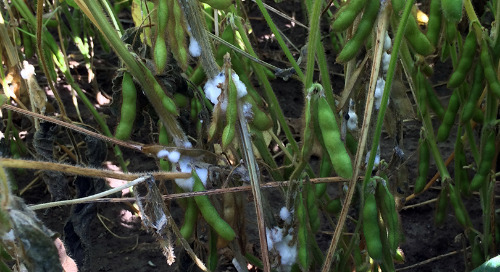 In areas where aphids are present, these fields get hit first. What about seeding rate? That’s a fine balance, says Richter. 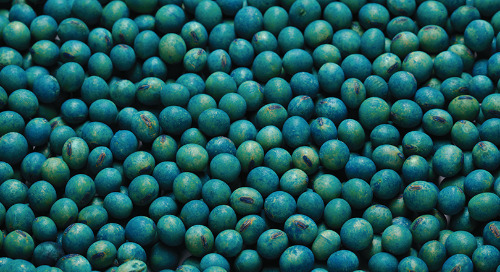 On one hand, growers may consider increasing the rate by 10% to offset greater seed mortality that could result from higher disease levels, but upping the rate could also lead to excessive vegetative growth, which can create ideal conditions for other diseases such as white mould. Richter also reminds growers not to forget about weed management. With the challenges the crop faces in this environment it’s critical to have a good weed management program focusing on pre-emergence with multiple modes of effective action. 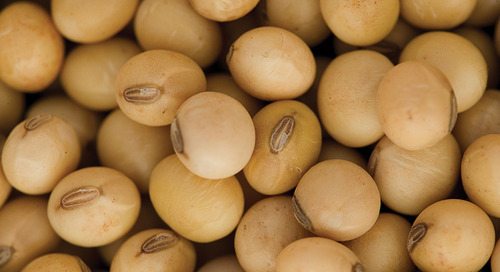 There’s one last consideration for IP soybean growers. 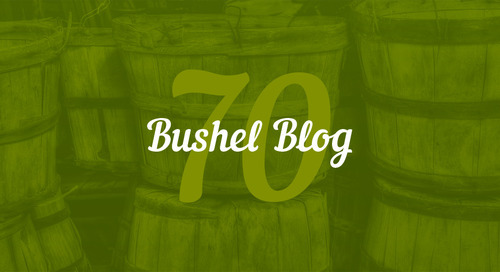 “If you plant Roundup Ready – a GM variety – stick with that technology the following year. 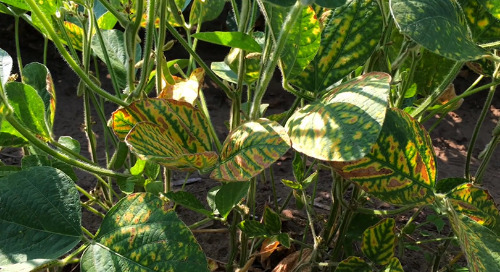 If you go in there with a non-GM IP variety after planting Roundup Ready, you could see some contamination with volunteer soybeans from the previous year,” says Richter. “Thankfully, it’s at a very low frequency, but we've seen a number of situations documented where this does occur. 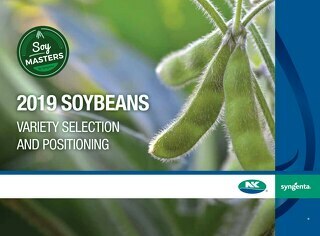 The 2019 Variety Selection and Positioning Guide will help soybean growers select the right soybean variety for their management zone and disease pressure. 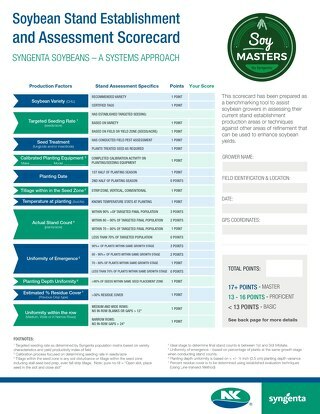 In part 1 of this 5-part series, Agronomic Service Representative Eric Richter explains how to optimize seed populations by taking a closer look at your productivity zones and soybean genetics.